I am often asked what the best way for someone to invest passively in the cryptocurrency market might be. What coin should they buy or what options do they have if they don’t want to worry about everyday price fluctuations? If they have a day job and don’t have the time or inclination to understand the difference between the various consensus mechanisms, what Zk-SNARKs is or how software could fork. The simple response is that these kinds of people probably shouldn’t invest in cryptocurrencies at all. Cryptocurrencies and the cryptocurrency market are highly volatile, speculative and experimental. Most of the projects will go to zero, the technology changes daily and you have to be comfortable with the idea of losing most, if not all, of your capital. That being said, it is an exciting market that promises great potential in terms of what a decentralised internet, and trust-less economy and future could look like. It is a market with some of the brightest minds in the world working to build that future and has offered unprecedented returns to those willing to bare the risk and invest. So it isn’t a surprise to see more and more people looking to allocate a percentage of their funds to crypto investments. What are the options available to a passive crypto investor? Invest in an actively managed hedge fund. I’ll explore each of the above strategies with the focus on the first four options. I will cover the actively managed hedge fund strategy in a separate article as they generally require much higher investment amounts and are primarily utilised by high net-worth individuals, family offices and institutions. Buying and holding bitcoin is the simplest strategy for the passive investor. Bitcoin has been the granddaddy of the cryptocurrency market since Satoshi Nakamoto released the bitcoin white paper and introduced the world to the bitcoin blockchain. Bitcoin maximalists will say that this is the only strategy that one should consider and that bitcoin is the only cryptocurrency that will be around one, five, 10 or 50 years out due to its decentralised nature, proven security, digital scarcity and store of value attributes. Bitcoin is also the easiest to buy. You can buy it from centralised exchanges (Coinbase, for example) and decentralised exchanges, on local bitcoin purchase sites and even at bitcoin ATMs. There are also multiple storage options to keep your bitcoin safe and ensure that you’re the actual owner of the currency — from writing your private key down on a piece of paper, to various hardware and software wallets, or even keeping them on an exchange (not recommended). But does HODLing bitcoin provide superior returns for the passive investor? Had you invested US$1 000 in bitcoin on 3 January 2017 and held it until 3 June 2018, you would have $7 579 today (a 658% net return*). By anyone’s measure, that’s a massive return. If you had made the same $1 000 investment in the S&P 500, you would have walked away with $1 209 (a 20.9% return). The bitcoin HODL strategy would have outperformed the S&P 500 by over 637%, but how does this fare against an ethereum HODL strategy? Ethereum maximalists will say that ethereum takes the potential of what bitcoin promised, makes it a reality and extends it even further with the ability to easily create smart contracts. Indeed, the explosion of the ICO market wouldn’t have been possible without the ethereum network as the majority of tokens on the market today use the ethereum ERC20 standard to issue their tokens. Ethereum also boasts the largest development community and some of the highest transaction volumes per day (overtaking bitcoin). For the passive investor, purchasing ethereum is as easy as purchasing bitcoin and gives the same options in terms of safely securing and ensuring ownership of the cryptocurrency. Had you invested $1 000 in ethereum in January 2017, you would have made a return of $74 463 — a return of 7 346% and a 9.7x better return than the bitcoin HODL strategy over the same time period. In fact, investing and HODLing ethereum would have outperformed the same strategy for bitcoin in every period measured except for one (12 months). Previous performance is not an indicator of future performance, so your guess about what will happen to the ethereum price is as good as mine. 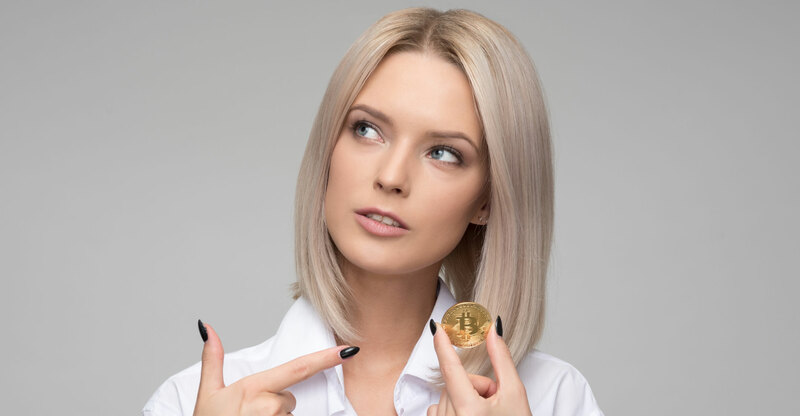 But as a passive crypto investor, had you decided to just employ the bitcoin HODL strategy, you would have missed out on some significant returns. How does this compare with the HODL top give by market cap strategy? The HODL top five by market cap strategy is to invest an equal amount in the five top cryptocurrencies ranked by market cap. This is a slightly more complex strategy than just buying bitcoin or ethereum as it first requires knowing what the market cap of each currency is and then purchasing the top five. Not all five currencies will be purchasable on the exchange that you have an account with, and you may need multiple wallets to store them. Nonetheless, the strategy follows the same principle as the HODL bitcoin or ethereum strategies: find the top five, purchase them, safely secure them and then forget about them. There is also the option of rebalancing the top five every period (quarterly or semi-annually) but that hews into “non-passive” investor territory. As you can see, bitcoin (BTC) and ethereum (ETH) have held their dominance in the number one and two spots since January 2017. Ripple (XRP) only lost its number three position once to dash (DASH) while litecoin (LTC), bitcoin cash (BCH), ethereum classic (ETC), nem (XEM) and monero (XMR) have all vied for fourth and fifth position at various points. Red cells = underperforming vs bitcoin; green cells = outperforming vs bitcoin. You can see that the top five outperformed bitcoin for three out of the six periods and underperformed against bitcoin for the same number of periods. What is notable, though, is that the outperformance generally exceeded the underperformance by a significant factor. To illustrate this, had you invested $1 000 in the top five 17 months ago, you would have generated a return of $45 682 vs bitcoin’s return of $7 579 (a ~$37 000 or 6x premium) whereas 12 months ago the top five would have only returned $2 026 vs bitcoin’s $3 093 (a ~$1 000 difference). What was the major component driving this difference in return between the top five and bitcoin? Had you gone with the bitcoin HODL strategy, you would have missed out on the incredible run that both ethereum (+7 346%) and Ripple (+10 750%) had. This doesn’t mean that the trend will continue this way but it does cast doubt on whether the bitcoin HODL strategy is really the best strategy for a passive investor. We have seen in both examples above that only HODLing bitcoin would have resulted in missing large potential gains while suffering smaller potential losses. Side note: You may be asking at this point why I’m only looking at data that goes back 17 months? Bitcoin has been available since 2009 so isn’t it unfair to only be looking from the beginning of 2017. I chose this period as it’s the only period that I can compare data on our next strategy, index fund performance. The oldest crypto index fund that I could find accurate data on was only launched in January 2017. So in order to compare apples with apples, I decided to only look at these periods. Investing in an index is a popular traditional investment strategy for a passive investor. They don’t require any active management so they charge lower fees than actively managed funds and historical data has shown that index funds generally outperform the majority of actively managed funds. Until recently, there weren’t many index options available in crypto but today many are starting to pop up. ICONOMI: Not an index but rather a simple to use digital asset management platform to be able to invest in a range of different actively and passively managed index funds with over 26 funds to choose from. Both BitWise Hold10 and the Coinbase Index Fund are only available to accredited US investors and have a $25 000 and $250 000 minimum respectively. Neither Bit20 or ICONOMI seem to have any minimum restrictions and are open to investors from across the globe. A note on ICONOMI: I decided to give it a try in November 2017. I have really enjoyed the experience and have been impressed with the progress being made on the platform. I found the entire sign-up experience to be simple and I enjoy having the ability to easily identify the holdings of each fund and track their performance. In addition, ICONOMI has a transparent blog where it posts about the performance of the company, share full financials and growth plans. I appreciate that level of transparency in a company that I am trusting with my funds and sacrificing the security of having access to my private keys. I also met with the ICONOMI team while at Consensus in New York and was impressed with their future road map and plans. For the passive investor, the ICONOMI platform is definitely worth exploring. The ICONOMI platform has 26 funds that you can select from. For the purpose of this analysis I decided to consider only funds that had over $1-million in assets under management and a trading history of at least eight months. This left me with five funds to compare (Blockchain Index, Crush Crypto Core, Future Chain Index, Solidim Prime and Pinta). I was unable to get accurate performance information on the Coinbase Index Fund so they, too, were excluded from my analysis. What we can see is that during a bull run, like we saw throughout 2017, HODLing beyond bitcoin would have provided superior returns across all the indexes analysed. However, simply HODLing the top five would have drastically outperformed (by 2x to 4.5x) all the indexes tracked. Only one fund (Future Chain Index — FCI) was able to outperform the top five HODL strategy consistently, barring the last month. What is surprising is the performance of the BTWTY and Hold 10 funds. Both hold a greater spread of tokens (10 or more), yet we can see that in a bull market, their weight-adjusted and broader inclusion strategies tend to underperform against a simpler HODL top five strategy without the benefit of significant improvement in performance in a bear market either. This raises the question whether a greater spread of tokens actually improves performance or adds any kind of diversification. What can we learn from this analysis? There are a few key insights. Bitcoin maximilasts would appear to be wrong in their mantra of bitcoin being the only crypto asset worth HODLing. Only investing in bitcoin would have produced significantly lower returns for any period six months or longer. Investors would have missed out on the massive performance gains of both ethereum and ripple had they embarked on this strategy. HODLing an equal portion of the top five by market cap appears to be an effective strategy outperforming the performance of bitcoin in four out of the six periods measured as well as most of the index fund strategies. Investing in a greater spread of tokens (10+) doesn’t necessarily equate to greater performance in a bull market and greater protection in a bear market. In fact, the opposite trend (a greater concentration of fewer tokens) appears to be true. Most index funds have yet to consistently prove themselves as being able to outperform HODLing bitcoin or a simple HODL 5 strategy. This appears counter-intuitive. Time will tell whether these insights remain true. A caveat on the above analysis is that the time period measured is extremely short. Drawing any conclusions and predictions based on an eight- to 17-month historical analysis is in and of itself a flawed investment strategy. Previous performance is not an indicator of future of performance and this is not intended as investment advice. As always, please do your own research. Click here to access the Google Sheet providing the raw data and performance calculations used to perform the above analysis.